It’s half a neighborhood, half industrial district. Houses humble themselves small and low to the ground. An ice factory dominates the small road called Ice Street. Semi truck rigs grunt down Highway Avenue where it turns into Lenox and stop in clouds in the dirt at the sides of the road to pick up prostitutes. Interstate 10 is just to the other side of Highway and Lenox. At night, the concrete tunnel from North Murray Hill beneath the interstate and into Lackawanna might contain people you would never want to meet. On McDuff Street, White’s Place wears a misshaped metal roof over chipped white boards. The only windows are miniscule, one only big enough for the red-lit letters of “Bud,” the other only big enough for the blue-lit letters of “Lite.” The trees over White’s Place and Papa Joe’s Wings & Soul Food look dirty and sick. Public School Number Ten is the largest building in Lackawanna. It was built in 1911. It stands plain and strong and off-white among the pines and almost pretty. It’s the railroad lines and the massive terminals around which Lackawanna was built. These streets would constitute a suburb of small working-class homes, housing for the workers employed by the railroad. The heart of the district was a massive, metal, clanking, creaking, screeching, screaming industrial behemoth complex of rails and rails and whistles and mechanical shops and boiler rooms and control stations. Now the “suburb” is an “inner-city neighborhood.” Now rusted, warped, and torn cyclone fences surround empty brown fields with old boxcars boxcars boxcars sitting silent in the distant hearts of them. Down on Hunt Street, the young theology student first visited the tiny nondescript house in 1999. He found a wide cement driveway, a tall chain-link fence, and the house set close within a field of grass and a few large camphor trees. Like most houses here, it was low to the ground. 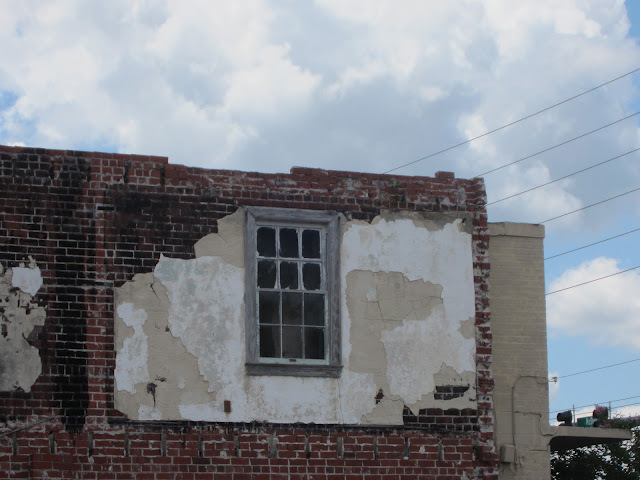 It was dirty white with a short miniature porch below a low eave and a sad twelve-inch peak. The only thing that looked different from every other lot on Hunt Street, Luray or Druid Street, was the tall brown gate over the driveway, separated by the chain-link fence on either side, the fence wooden with curved teeth angling toward the sky, and in its center the lettering in Cambodian and in English that named the place: Wat Kanteyaram Khmer. The inside was bigger than the outside. From the outside, the house might contain two main rooms, a couch and chair, a TV, a small kitchen. On the inside, the house contained no furniture, the walls supported large pictures of Cambodian religious figures in heavy gold-colored frames, and men and women sat on the floor with plates piled with food. Four Cambodian monks wearing orange robes that depended from one shoulder sat on a slightly raised platform covered in red cloth. The focal center of the house/temple was a golden Buddha, seated, eyes closed, larger than a human being. The white American theology student walked to the back yard with his kind host, who helped him dish his plate full of food. The student figured at least 100 people were crowded onto the grassless ground. He sat at one of many long tables with kind Cambodian strangers who could not speak one word of English. Though the food was covered with flies, with a sense of respect and gratitude, he ate every bit of it. The neighborhood was built a century ago for working-class whites. Now the neighborhood was evenly black and white, the only two categories many Southerners still recognized, and equally poor. The neighborhood was half industrial—mechanic shops, glass and aluminum workers, small factory yards. 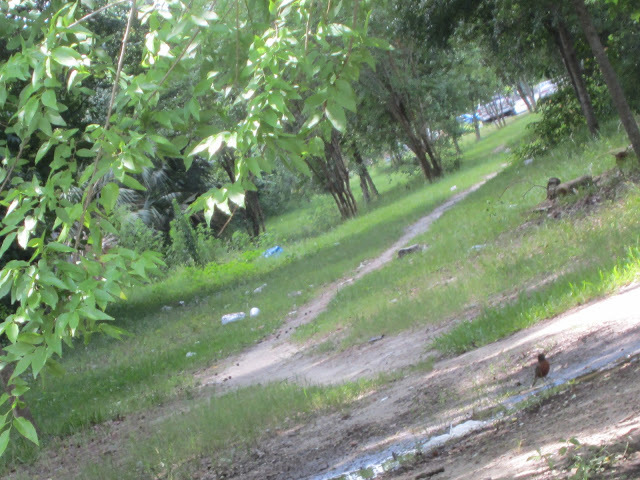 The neighborhood was invisible, an inner-city district within inner-city districts, ad infinitum. Most of Jacksonville’s 1.3 million residents had no idea where Lackawanna could be, much less Druid Street, Dignan Street, Thompson Street. Much less: a Cambodian Buddhist temple almost unidentifiably housed within a one-bedroom house, with four monks in residence and prostitutes walking the streets outside without any idea who lived here or visited. In the late 1960s, what a time, Jerry DJ West started to sell 30 and 45-rpm records along with his custom jewelry. Since the mid-1970s, DJ’s Record Store has been housed in a lovely old yellow brick building at Edison and McDuff Avenues. The Gospel, Jazz, Blues, Rhythm and Blues CD’s, records, eight-tracks and cassettes cram the building from floor to ceiling, with an aisle here and there blocked by clutter. DJ West started working his store six days a week in the middle of the 1970s. The old soft stone building exudes Otis Redding, Ray Charles, Aretha Franklin songs. This place, he says, is his empire. A customer says it’s the only real record store left in Jacksonville. DJ West has never heard of Wat Kanteyaram Khmer, just down the street, and the monks have never heard of DJ’s Record Store. In late 2006, plans were filed to build the Wat Kanteyaram Khmer Buddhist Temple complex on Hunt Street. 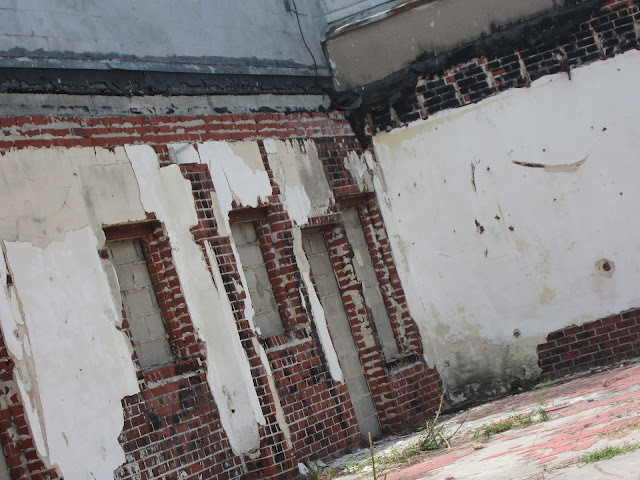 After small house demolition, three buildings would be built, totaling 16,540 square feet. One building would be a meeting and prayer hall. One building would be a residence for the four Buddhist monks who had resided at the little house temple. Monks estimated construction would cost around $2 million. The two largest buildings in Lackawanna are Public School Number Ten and Wat Kanteyaram Khmer, the first documented as historically and architecturally significant, the second almost entirely unknown outside of itself. The spacious yellow temple surrounds itself with lifesize bodhisattvas who stand with big feet on corbelled columns, leaning forward, big-breasted, arms out and hands turned in, wings spread out behind their arms, palms upholding the floor above them. These strong but feminine figures face out from the temple, one after another, all the way around, north, east, west, south. Walking down Hunt Street toward McDuff, you see above the camphor and pine and oak trees that themselves soar above the low, sad, soft houses, the high bell-shaped stupa atop the temple, a new Southern U.S. version of those old stupas across Asia, all of which are said to contain relics of the Buddha. When the new Wat Kanteyaram Khmer was proposed as replacement of the old Lackawanna bungalow Buddhist temple, the construction briefs in the local newspaper referred to it as the second Cambodian Buddhist temple, following the three-acre Cambodian Buddhist complex on Clinton Avenue in the Southside. You wouldn’t expect the reporter who compiles the construction briefs to have known of the already established temple in the little house to be demolished. A bumper sticker on a pickup truck on Highway Avenue shows a Confederate flag and a reference to Nathan Bedford Forrest, Confederate general in the Civil War and first Grand Wizard of the Ku Klux Klan, namesake of a high school on Jacksonville’s Westside, one of the last so-named high schools in a South that grew ashamed of its violent ignorance and changed the names of its high schools in most other places. Not in Jacksonville. The 22 year-old driver of the pickup truck, Billy Bridgeman, thinks mostly in terms of black and white. He doesn’t know where Cambodia is. Buddhists, he might tell you, are some kind of Muslims or something. Whatever they are, they’re not Americans, he would say. But he doesn’t think entirely in terms of black and white. His thinking is slightly more complicated than his father’s was, and his grandfather’s, and great-grandfather’s. Now, since September 11, 2001 and since the presidency of Barack Obama, whom he believes to be a Muslim Socialist whose healthcare plan will implant computer chips in all Americans so the Antichrist can monitor their every thought, he thinks in terms of black and white and Muslim. He does not know that four Buddhist monks reside in a Cambodian temple two blocks north of the stoplight he presently curses. 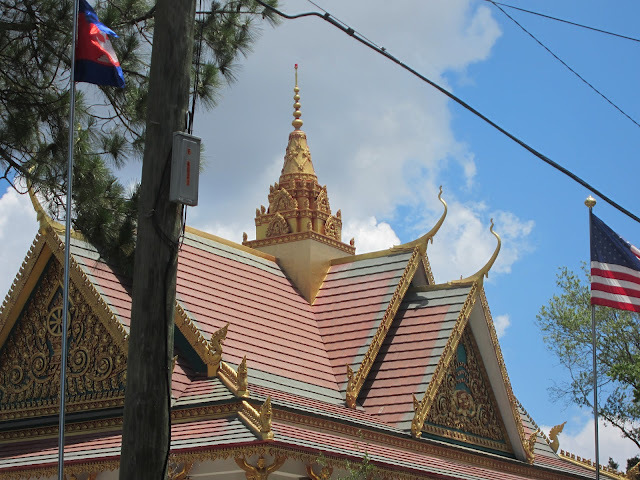 Cambodian monks told compilers of Florida Times-Union construction briefs that the Southside temple was one of the largest in the country and that Jacksonville was a rare American city for having more than one such temple. The local Buddhists had hosted the occasional reporter and college student and aspiring theologians at the little house temple. They had fed them at long tables outside. Though the food might have been covered with flies, guests inevitably felt grateful for the kindness of their hosts. Now there is room enough inside for everyone to sit together in partaking of food and prayer and companionship.